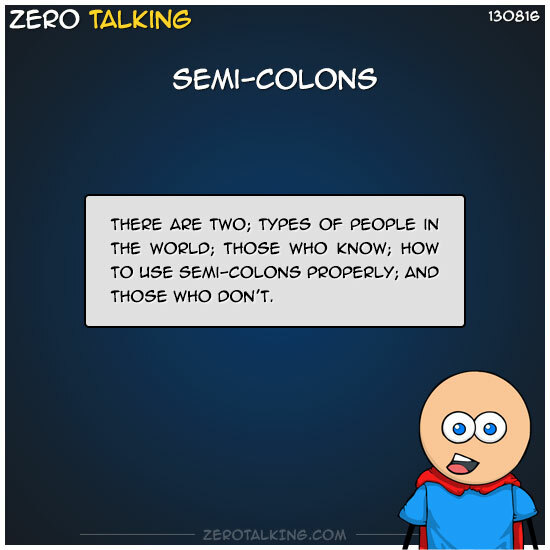 There are two; types of people in the world; those who know; how to use semi-colons properly; and those who don’t. Semicolons are one of the reasons why I break so many grammatical rules on purpose. Basically — to avoid drawing attention to the fact that despite going to college for six years — some of which involving English — I still can’t use a semicolon worth a damn.